Brewer Description: (from bottle) Happy Chinese New Year! 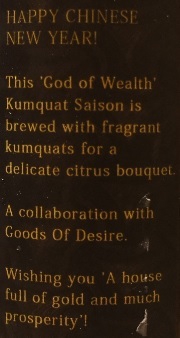 This ‘God of Wealth’ Kumquat Saison is brewed with fragrant kumquats for a delicate citrus bouquet. A collaboration with Goods of Desire. Wishing you ‘A house full of gold and much prosperity’! Intro: A 330ml bottle with no clear bottled on or best before date. Poured into a Lost Abbey teku glass. 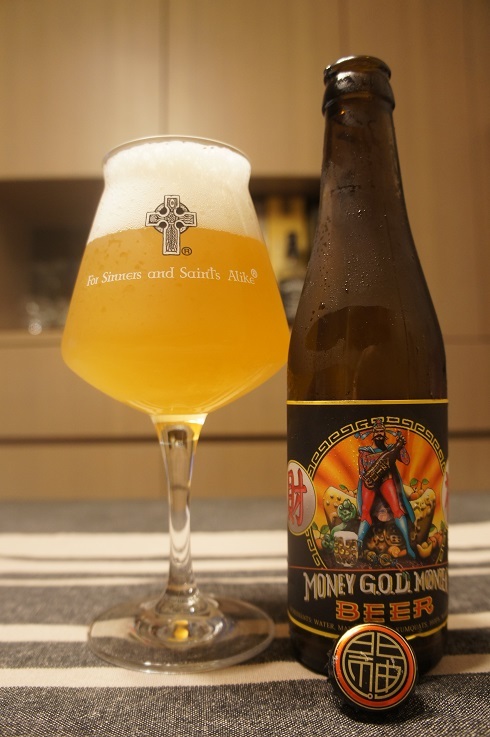 Appearance: A hazy golden straw colour with a two finger white head that had ok retention while leaving some lacing. Aroma: Belgian yeast, clove, Pilsner malts, honey, citrusy kumquat and citrus peel with light pepper spice, floral and herbal elements. 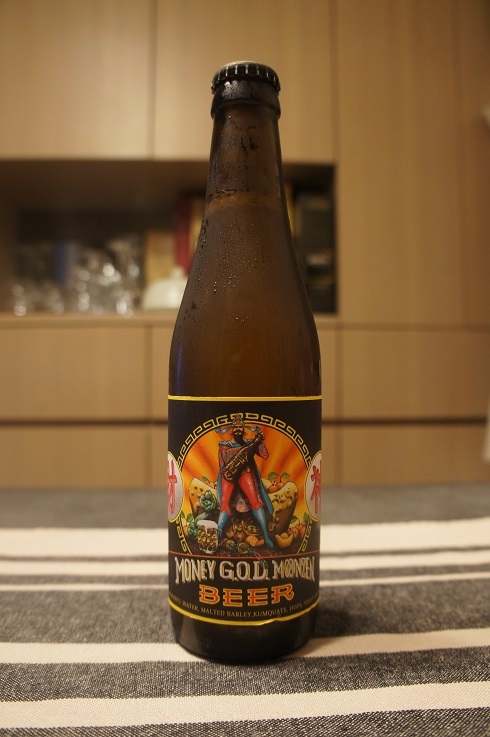 Taste: Similar to the aroma with Belgian yeast, clove, pepper spice, kumquat, citrus peel and floral. Overall: Nice relaxing Saison with flavours of kumquats. Worth a try.